Following Washington's calls for the destruction of Russia’s 9M729 missiles that allegedly violate the Intermediate-Range Nuclear Forces (INF) Treaty, Moscow suggested that the US should also consider eliminating ground-based Mk-41 launchers, ballistic target missiles and armed UAVs, which Russia sees as INF violations. On February 8, the US mission to NATO published an official response to Russia's accusations of INF Treaty violations by Washington, where it explained why the US doesn't see the armaments in question as infringing on the missile accord. Washington claims that the modified ground-based version of the Mk-41 launcher, initially fitted for ships and launches of Tomahawk cruise missiles (effective range up to 2,500 kilometres), called Aegis Ashore, doesn't violate the INF Treaty. According to the US, although Aegis Ashore is based on the ship-based Mk-41 design, it doesn't have capability of launching Tomahawks and is only fitted for launching defensive SM-3 interceptor missiles. 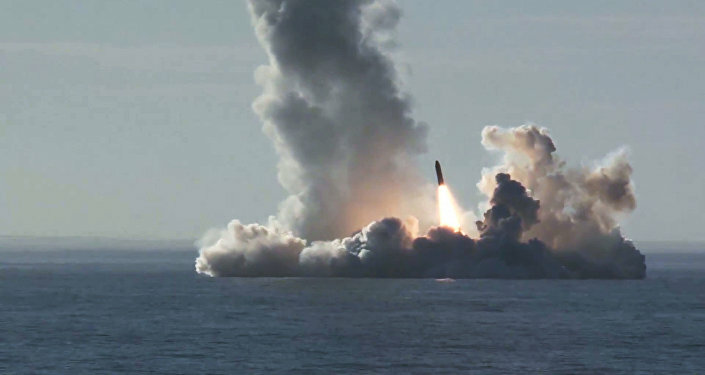 "The system lacks the software, fire control hardware, support equipment, and other infrastructure needed to launch offensive ballistic or cruise missiles such as the Tomahawk", the statement reads. 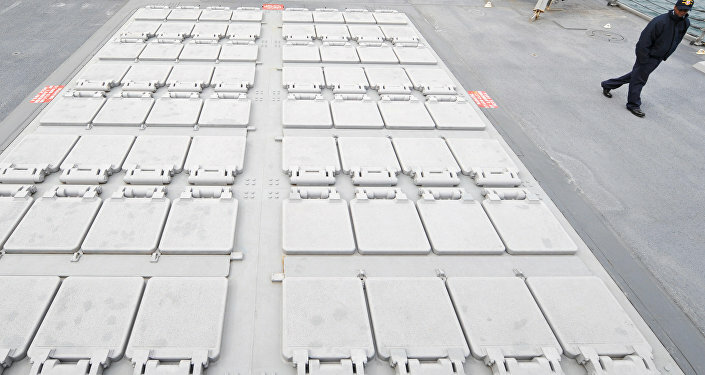 It's unclear how long it takes to make upgrades to Aegis Ashore in order for its capabilities to be similar to those of the ship-based Mk-41launcher. Furthermore, the US has refuted Moscow's statements its ballistic missiles, such as Hera and the Medium Range Target (MRT), violate the 1987 arms accord. The US mission to NATO said that Washington has already addressed this issue in the Treaty's Special Verification Commission (SVC) in the past. The US reiterated its statements that such missiles fall under Paragraph 12, Article VII of the INF Treaty that allows launches of booster systems if they meet certain requirements. Namely, such launches must be used for research and development purposes directed not at the booster stages of the rocket, but on other parts. What is more, launchers used for this purpose must be fixed, situated above ground and only at declared R&D launch sites, with their max number not exceeding 35. Washington, refuting another point of criticism from the Russian Defence Ministry, stated that armed unmanned aerial vehicles (UAVs), in its opinion, do not fall under the definition of the term "missile" as used in the INF Treaty. US authorities pointed out that the UAVs are two-way, reusable systems, while a regular missile is a one-way system. The US sees this difference as a reason not to include its UAVs as armaments falling under the provisions of the INF Treaty. However, the accord doesn't explicitly define what a "missile" is and doesn't specify it as solely "one-way" system. "The term ‘cruise missile' means an unmanned, self-propelled vehicle that sustains flight through the use of aerodynamic lift over most of its flight path", one of the points of the INF Treaty reads. In its statement, the US mission to NATO, recalled that Russian firms have also been developing armed UAVs for years. However, the resulting drone, called "Orion-E", only has an operational range of 250 kilometres, while the minimum prohibited range under the INF Treaty is 500 km. At the same time, the US drones are capable of flying as far as 1,200 kilometres away from the base where they are stationed, putting them within the range, prohibited by the accord. The US announced it would start the withdrawal process from the INF Treaty on 2 February 2019 citing alleged violations by Russia. Washington has demanded that Moscow destroy its 9M729 missiles along with its launchers to return to compliance with the INF Treaty. In response, the Russian Defence Ministry stated that the US should also eliminate armaments that Moscow views as violating the INF, namely the ground-based modification of Mk-41 launcher, which is based on the ship version capable of launching Tomahawk missiles, ballistic missile targets and armed drones, such as MQ-1 Predator, MQ-9 Reaper and Avenger. The INF Treaty, signed by the United States and the Soviet Union in 1987, bans all ground-launched ballistic missiles with ranges between 500 and 5,500 kilometres (310 and 3,400 miles) and their launchers.